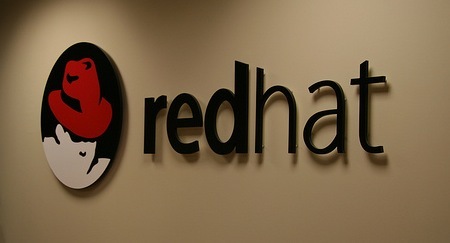 Red Hat has always stood out as the reference point in the scenario Open Source, thanks to continuous contributions to the open source community and at the same time it in recent years one of the key for the companies in the development of new services with cloud architectures is open source. And recent release of OpenShift source code, has made the progress of Red Hat Cloud that is OpenStack to progress in logarithmic scale. The conference will provide the code of Red Hat’s PaaS offering, and it will show developers how to take it and run it on OpenStack. The paradigm of Red Hat Cloud is offering flexibility and possibilities with heterogeneous cloud environments. We need to clarity to our readers the latest actual happenings on the latest in cloud computing market and to analyze what will be the expected future developments by Red Hat Cloud. Let us start talking about the type of distribution public and private cloud, is the right use for the end user, taking the small and medium-sized enterprises. Bring the benefits of the cloud in all IT resources, not only on a subset of the same. The hybrid cloud control your business model and your access to innovation, it provides a linear path, not a migration process that is expensive, not building a closed environment and avoiding to increase the complexity of managing which lets you to manage applications and data via your choice of a different infrastructure. Adopting only private cloud or a public cloud will provide only limited benefits because they are entirely on a different service and is usually not a viable thing. In contrast to adopt a hybrid cloud and open brings the benefits of both types of distribution. Red Hat has chosen KVM as a hypervisor for a long time. Just to give an example, in 2010 Red Hat Cloud announced that IBM has based their development and testing based on Red Hat Enterprise Virtualization and KVM . The foundation of each cloud are formed by a robust, secure and scalable virtualization. Designed to a high demand for cloud, Red Hat Enterprise Virtualization creates a safe environment for sharing resources among multiple users and different organizations to manage with simplicity and flexibility. The Multi-tenancy creates new challenges to performance and security for which the previous virtualization technology which was not absolutely indicated. Red Hat Enterprise Virtualization introduced Quality of Service capabilities for both internal and external cloud environments, able to meet Service Level Agreements, which is a required key factor in the cloud. Red Hat Cloud has entered a market that is about to explode, with VMware vSphere and Xen as the most significant competitors. Many hosting and service providers today has long implemented services using Red Hat and those currently leading are built on software written by Red Hat virtualization technology and management tools to implement cloud computing. This Article Has Been Shared 8979 Times! Cite this article as: Abhishek Ghosh, "Red Hat Cloud : Why The Progress is Logarithmic Scale," in The Customize Windows, May 21, 2013, April 19, 2019, https://thecustomizewindows.com/2013/05/red-hat-cloud-why-the-progress-is-logarithmic-scale/.